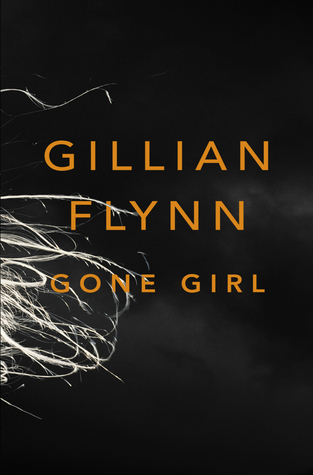 As I mentioned in my last entry, I’ve finished reading Gone Girl, Gillian Flynn’s recent insane super best-seller. The novel occupies an interesting cultural place: it’s a crime thriller that’s found a substantial readership amongst both sexes. It so often feels like literature (and all pop culture, in general) is very gender-segregated. There are women’s classics and men’s classics; women’s bestsellers and men’s bestsellers. Gone Girl kinda bridges that divide. There’s something of a war of the sexes element in the novel. For those who don’t know, it has two first-person narrators: a husband and his wife. After the wife goes missing and the husband becomes the chief subject in her presumed murder, a media frenzy ignites in a manner that’s somewhat reminiscent of the O.J. Simpson or Scott Peterson cases. Amy is not dead (because although her narration begins seven years in the past, it does eventually come up to the present day). She has some kind of future. Or, at least, ten months after the main action of this book, she is still alive. This is wonderful! Right in the Table of Contents, Flynn has thrown away some of the most obvious generators of suspense: Did he kill her? Is she alive? Will she survive? And throughout, the plotting is just superb. Information is revealed at the right time and the revelations are shocking but not absurd. There’s something delightfully playful about the story. It eschews the expected thing and the easy villains. It really kept me reading. The writing is…interesting. The novel does not have that typical bestseller style, with short sentences and plain language. It’s told by two first-person narrators who both have strong voices. They both jump around in time and hide information from you and narrate things in their own way. There is plenty of figurative language and complex sentence structure and detail. But…there’s something about the writing that makes the book a bit hard to read. For the first fourth of it or so, I found my eyes skipping over paragraphs and then getting lost (since this is not the kind of book where you can really skip whole paragraphs, since information is buried in the center of paragraphs and doled out at semi-random intervals). There’s just something about the writing that screams out that you shouldn’t be reading all of it. Eventually, the difficulty went away and I no longer had trouble reading it. But, after I finished the book, I started to think that maybe the problem was that the details that the book chooses to include often seem kind of extraneous. They don’t really advance the plot or reveal much about the character. Like, take this paragraph from literally moments before the narrator discovers that his house is in shambles and his wife is missing. Quiet. The complex was always disturbingly quiet. As I neared our home, conscious of the noise of the car engine, I could see the cat was definitely on the steps. Still on the steps, twenty minutes after Carl’s call. This was strange. Amy loved the cat, the cat was declawed, the cat was never let outside, never ever, because the cat, Bleecker, was sweet but extremely stupid, and despite the LoJack tracking device pelleted somewhere in his fat furry rolls, Amy knew she’d never see the cat again if he ever got out. The cat would waddle straight into the Mississippi River – deedle-de-dum – and float all the way to the Gulf of Mexico into the maw of a hungry bull shark. The paragraph is not overtly bad, it’s just pointless. Bleecker barely appears in the rest of the novel. The characters almost never think about him. Furthermore, although we now “know” that Amy is the type of person who loves and cossets her cat, we never really get the sense that this is true. Like, nothing in the book discredits this, but nothing supports it, either. The cat is just sort of tossed in here for the hell of it. And that’s not really how novels should be written. It’s also weird because I’m reading Flynn’s second novel right now (Gone Girl is her third), and this novel doesn’t have this issue at all. The writing is sharp and the details are well-chosen. I think the issue I have with Gone Girls’ writing is directly related to the complexity of its characterization. Basically, in this novel, Nothing Is As It Seems. And in order to support the mystery, each character needs to be described in ways that support two separate portraits. It has to be possible for Nick to seem both like a roguish schmo and a cold-hearted wife-beater. And the novel has difficulty threading these lines. With two first-person narrators like this, there’s just not enough ambiguity. I mean, everything almost hangs together. You can almost see how it’s possible for someone to see either version of Nick and Amy…but sometimes the strain shows through. Basically, in order for this story to work, the characters have to be complex in an incredibly multi-faceted and contradictory way. And I can believe that they are that complex, because I want the story to work. But the story never quite succeeds in showing us what that complexity would look like. We never quite get a sense of what Nick and Amy do and say and talk about when they’re not, you know, enmeshed in a bizarre murder plot. But whatever, it’s an incredibly ambitious and thought-provoking novel and it’s really fun to read. I highly recommend it. Every time I click on this link, I get a ‘this website is offline’. What’s going on? Yeah, not sure what is going on. I will check it out. > It eschews the expected thing and the easy villains. In Computer Science we have, thanks to Claude Shannon, information theory, which is a body of insights that says, among other things, that the more likely you are to expect X, the less information that X actually arriving contains. Of course, if every single sentence is to contain the maximum of new information, each would be – effectively – random garbage, unrelated to anything that came before. There’s a sweet spot in the laffer curve of literary surprise, where tons of stuff is surprising, but not implausible – maximum information density in a tale, without veering over the cliff into pure noise.